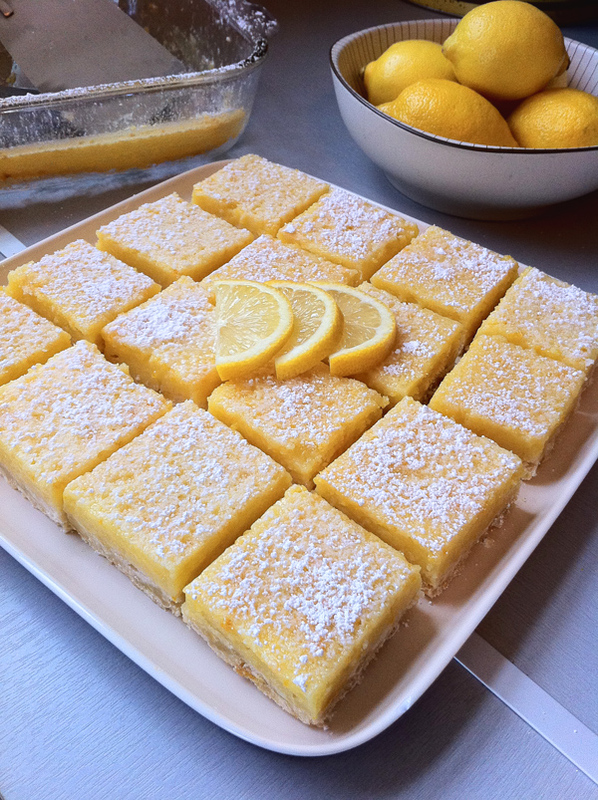 Meyer Lemon Bars | Let's Cook With Bry! In Northern California, we are fortunate to have Meyer lemons available to us most of the year. They have a different flavor than regular lemons – less tart and sweeter – and have a slightly darker color, with a smooth rind. 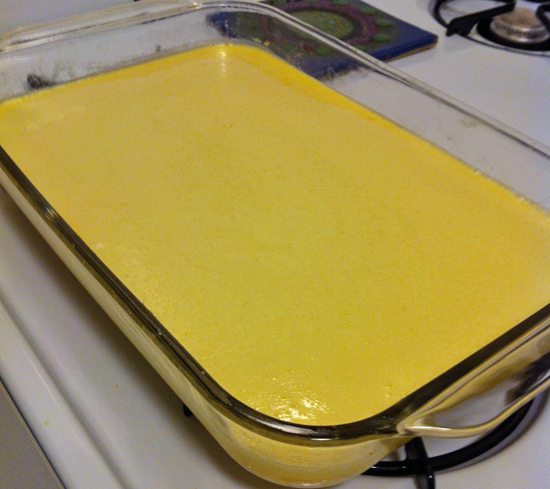 I decided to try a traditional lemon bar recipe using the juice and zest from this less common citrus. The shortbread: Preheat oven to 350°. Lightly coat a 13x9x2-inch metal baking pan with nonstick spray. Blend flour, sugar and salt in processor to combine. Cut in butter, using on/off turns (or by using a pastry knife, or simply use your fingers – but don’t melt the butter), until mixture resembles coarse meal. Add egg yolks and lemon peel, and blend until moist clumps form. Press mixture onto bottom of prepared pan. Bake until just beginning to turn golden around the edges, about 10 minutes. Remove crust from oven; reduce temperature to 325°. 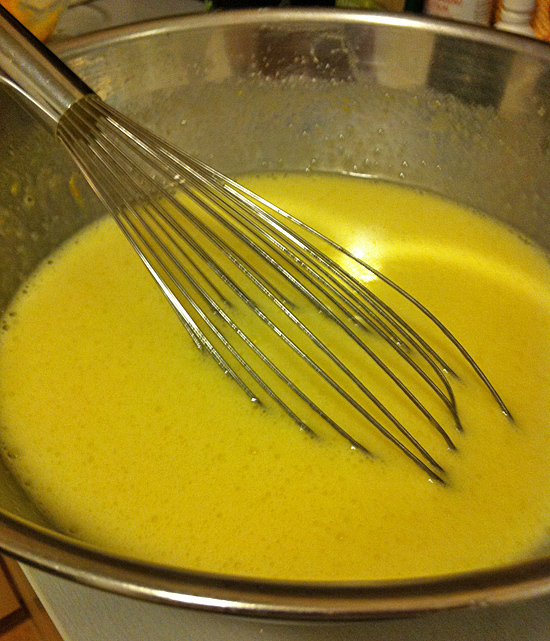 Meanwhile, prepare lemon filling: Whisk eggs and sugar in large bowl to blend. Whisk flour and baking powder in medium bowl to blend. Add flour mixture to egg mixture, whisking to blend. Whisk in lemon juice and peel. Immediately pour lemon filling over hot shortbread; bake until filling is set, about 30 minutes. Cool completely. Sprinkle powdered sugar over. Cut away the outer crust around the perimeter of the pan (for uniform appearance), and cut into bars. These can be made 2 days ahead and stored in an airtight container at room temperature. You can also freeze them, and refresh the powdered sugar when thawed. NOTE: If you’re using a glass baking pan, reduce oven temperature by 25 degrees and add 5 minutes to baking time for each step.